Firmly ensconced as one of the most vibrant cities in northern England, Newcastle upon Tyne continues to flourish as a visitor destination. Once a struggling post-industrial centre, it now boasts a fabled nightlife scene and some top cultural attractions, set within a compact city centre. The warmth and humour of the Geordie spirit is legendary (as is the citywide passion for Newcastle United Football Club, or “The Toon”) and visitors can expect an animated experience. On the outskirts, Antony Gormley’s instantly recognisable Angel of the North looms over the landscape, its broad steel “wings” recalling the area’s industrial past. The theme continues in the city itself: much of Newcastle's renaissance has emerged around the River Tyne with smart new hotels and restaurants looking out onto attractions such as the BALTIC Centre for Contemporary Art (a former mill) and the still-iconic arch of the Tyne Bridge. Alongside these, however, gleaming projects such as the Millennium Bridge and the remarkable Sage Gateshead bring things spinning into the present day. 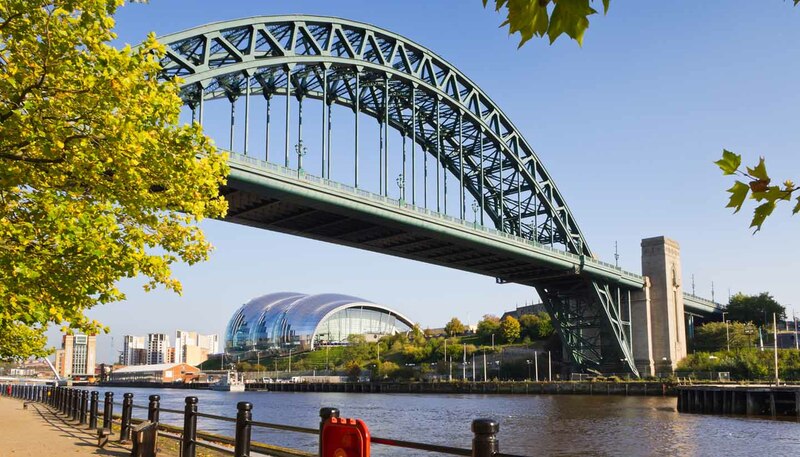 Collectively, Newcastle and Gateshead have helped stimulate cultural interest in the north east. For history buffs, the city has plenty to offer too with a heritage dating back to Roman times. Newcastle has close links to Hadrian’s Wall and remnants of the stone barricade still survive around the city. Elsewhere, the Castle Keep dates back to the 12th century, while the beautiful Georgian and Victorian facades of Grey Street, including the Theatre Royal, are among the finest in England. That much-vaunted nightlife scene shows no signs of dimming in intensity either - the Bigg Market area is the best known for its after dark antics, but it’s by no means the city’s only hotspot. Then there’s the designer shopping, riverside markets and a lively events calendar that all contribute to Newcastle being one of England’s greatest cities.